Summer is quickly approaching, and everyone soon will be hitting the road heading towards their favorite vacation spot. I can feel the excitement already as people anticipate plans for some rest and relaxation this summer. However, as you route your course, perhaps, you should also allow extra time in your agenda for some unexpected delays. With Obama’s American Recovery and Reinvestment Plan stimulating road construction, facing the dreaded orange barrels will be inevitable. Patience will be a definite virtue you will need as you head out on the road. However, dodging the orange barrels is not the only time you will need to exercise some patience. On occasion, you may find yourself behind a truck hauling an oversized load. Vacationing drivers more than likely view these trucks as a hindrance, a barrier they have to get around in order to reach their destination. As an employee of HG Logistics LLC, a Cincinnati, Ohio freight broker, I encourage drivers to respect these trucks and the load they are transporting. HG Logistics has extensive experience in hauling heavy haul and oversized equipment and therefore, can attest that being patience and courteous will help ensure everyone’s safety. 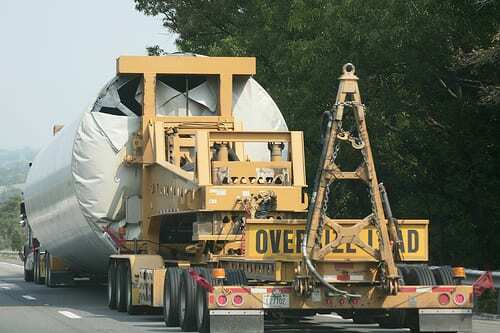 Heavy haul and oversized loads are carefully planned: they must travel preplanned routes, must use certain lanes, and travel at certain speeds. The drivers of these trucks are not purposely trying to annoy you. They are just abiding by the predetermined restrictions they are required to follow. If you are having trouble maintaining your road rage as you sit behind an oversized load, taking up two lanes of traffic, and traveling at a measly speed of 25 miles per hour, think about the truck driver. Before you honk your horn and give him the finger, put yourself in his shoes and think of the awesome responsibility he has of hauling 150,000 pounds across U.S. highways. One slip up, one distraction is all it could take for him to lose control of that load and produce catastrophic results. Please do not try to zip by them, swing around them, or cut in front of them. If you do, someone could be seriously injured. Practice some patience and common sense, and the worse thing that could happen is you arrive a few hours late to your favorite vacation spot, but at least you will arrive there alive and in one piece.